Define girt sizes, spacing, post types and end post conditions for automated framing. Easily modify opening framing conditions through a template-based user interface. Virtually define any material type for girts, posts and nailers. 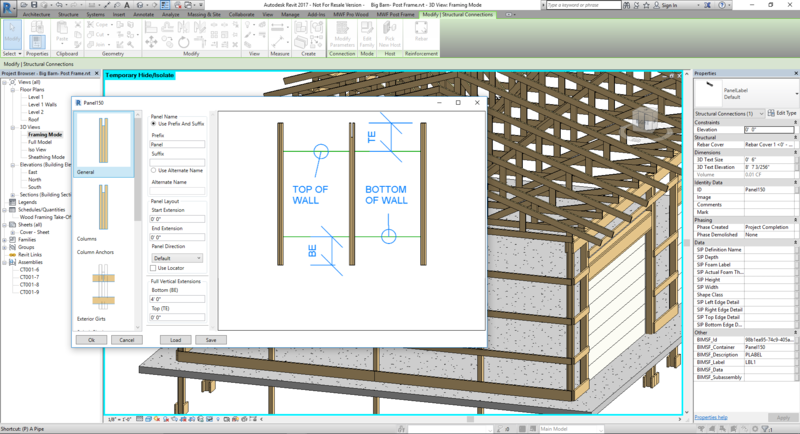 Pull lumber take off, elevations, floor plans and other details live from your Revit® model.